Happy Birthday for a Blessed Person, You! Blessed with hope and wisdom from God. Have a nice birthday, May you receive lots of great things from the Lord. 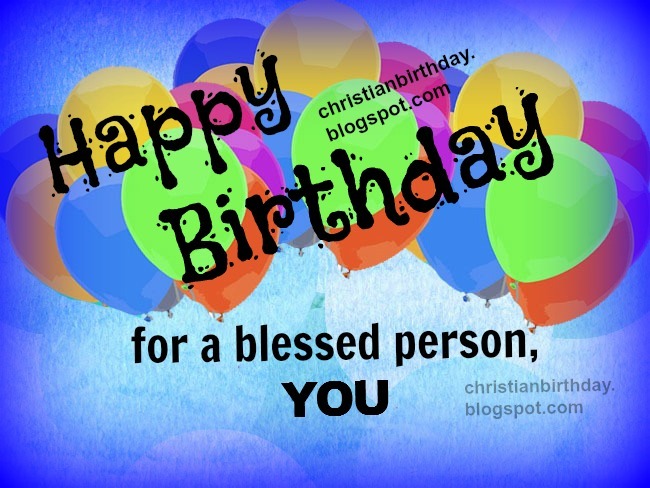 Happy Birthday for a Blessed Person, You, Free christian birthday card with free quotes, blessings to man, woman, son, daughter, boy, girl, free image, for facebook friends.